This entry was posted in Design, Toys and tagged nanoblock. Bookmark the permalink. Hi Bing! I don’t know Lorraine Loots’s work, but will definitely check it out. Thank you, and happy holidays to you too. I admire your patience, these are fantastic! Enjoy your time off and have a wonderful Christmas and a hapoy, healthy and peaceful New Year. You too, Fransi. Thanks for stopping by after all this time. 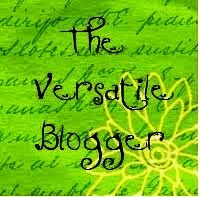 I want to be more active again in the blogosphere next year. You are an inspiration! Thanks Caron. I have always enjoyed your blog. I’ll look forward to more posts in 2017! I am betting this serves the same purpose for you as the coloring books flying off shelves right now:). It’s almost like meditation, right? You can zone out and relax your mind, totally focused on the task at hand. That’s right—actually, I have at least 10 colouring books, also! I started painting about 5 years ago for relaxation, but making original art has its own pressures, although I love it. Sometimes it’s great just to colour in a pretty picture that someone else has drawn. I have been known to white out lines I don’t agree with, however, and draw in my own!